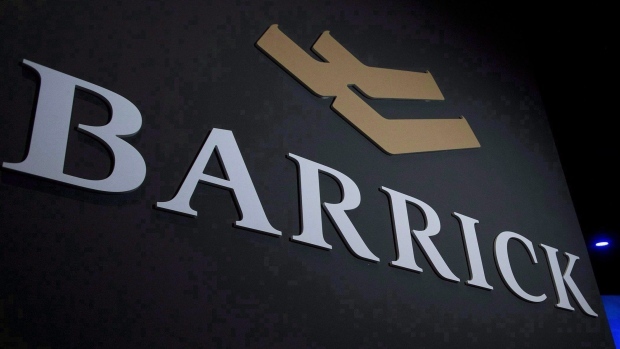 Barrick Gold Corp. (ABX.TO) is the undisclosed gold miner that was asked to sign a confidentiality agreement alongside activist investor John Paulson to discuss potentially buying Detour Gold Corp. (DGC.TO), according to people familiar with the matter. While Barrick’s level of interest in Detour is unclear, neither Paulson nor Barrick signed the confidentiality agreements, said the people, who asked to not be identified because the matter isn’t public. Paulson has held previous discussions with Barrick about Detour, they added. Detour’s shares rose as much as 4.3 per cent in Toronto. They were up 1.3 per cent to $13.52 at 11:40 a.m. ET. Paulson & Co., the hedge fund run by billionaire Paulson, is locked in a heated dispute with Detour and is pushing for the miner to sell itself. Paulson said Thursday it intends to call a special shareholder meeting to replace most of the board after Detour rejected its request to run an auction for the company. Paulson also filed an email with regulators that showed it along with what was characterized as a major gold miner were asked by Detour to sign a confidentiality agreement to look at Detour’s books and receive other nonpublic information. That undisclosed potential buyer is Barrick Gold, said the people who asked not to be identified because the matter is private. Representatives for Barrick, Detour and Paulson declined to comment on the matter. The fight between Paulson and Detour escalated this week with each accusing the other of providing false and misleading information and both saying they had complained to the Ontario Securities Commission. Paulson alleged Detour had failed to share information about a possible buyer, while the Toronto-based miner said it hadn’t received any offers to purchase its shares. Detour said in a statement Friday that it planned to announce two new directors with operational expertise in large-scale open pit mining and experience in corporate social responsibility, including engagement with Canada’s indigenous First Nations. The company has said it will remain open to strategic alternatives provided they create greater value than its own current plans. A representative for Paulson said the firm would comment on Detour’s statement Friday in due course. Daniel Earle, an analyst with TD Securities Inc., said he viewed the confidentiality agreements and 12-month standstill agreements that Paulson and the potential buyer were asked to sign as standard procedure to access a company’s information. Detour’s principal asset is the Detour Lake mine in northeastern Ontario. The company’s shares sank in April after it released a mine plan that increased the cost for the operation and lowered 2018 production guidance. The shares have rebounded since Detour updated its mine plan last month and Paulson increased its push for the company to sell itself.